A Coming Storm in the Adirondacks. Painting by Homer Ransford Watson. The July/August issue of the Adirondack Explorer will include two pages of paintings and photographs from “A ‘Wild, Unsettled Country’: Early Reflections of the Adirondacks,” an exhibit that opened today at the Adirondack Museum. It runs through Oct. 18.Lovers of art and nature may be interested in a similar exhibit at the Montreal Museum of Fine Arts called “Expanding Horizons,” which will run June 18 through Sept. 27. The museum has assembled nearly two hundred landscape paintings and photographs created between the Civil War and the outbreak of World War II. 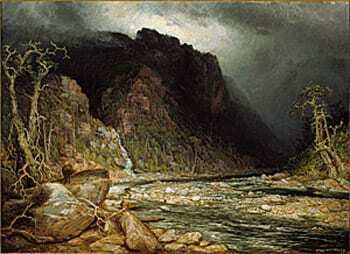 The museum says the works portray landscapes in the United States and Canada in “an era of artistic and historical transformation coinciding with the westward expansion of the two countries.”The Montreal exhibit includes A Coming Storm in the Adirondacks, painted by Homer Ransford Watson a Canadian artist, in 1879. 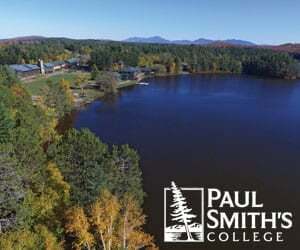 The musuem’s spokesman did not know if the oil painting depicts an actual landscape in the Adirondacks. It doesn’t look like anyplace I know, but if I were to speculate, I’d say it was inspired by the Hudson Gorge. It’s so nice to see you write about artists and artwork in the Explorer. I’ve always felt those artists who first came to the Adirondacks in the early 1800’s contributed a great deal to the idea to create the Adirondack Park. 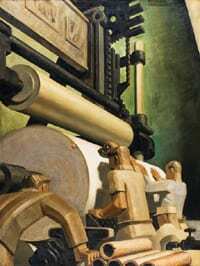 Their paintings illustrated what a beautiful treasure this place was and still is. I guess that’s why I paint here too!